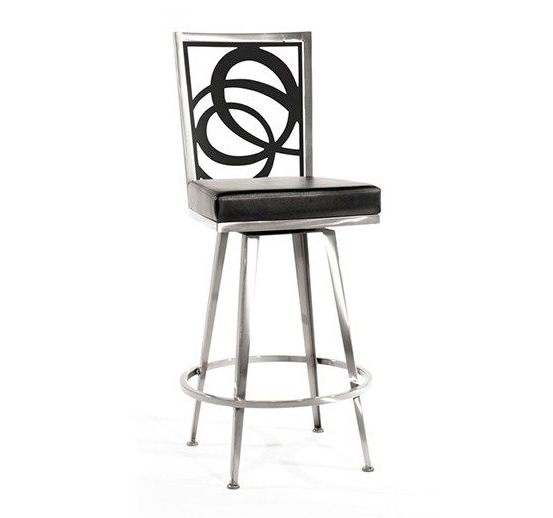 This transitional counter stool has low modified arms that flow from the tall rounded back. The in back is button and tufted. The wood legs are tapered and have stretchers. 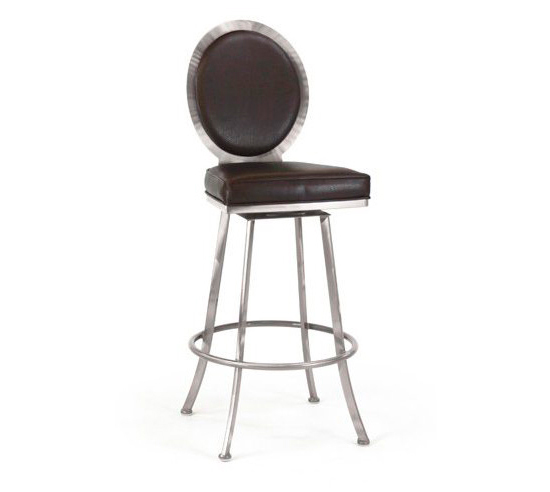 This low back bar stool has contemporary styling. Exposed wood borders the back, the arms and flows to the legs. The legs have stretchers. 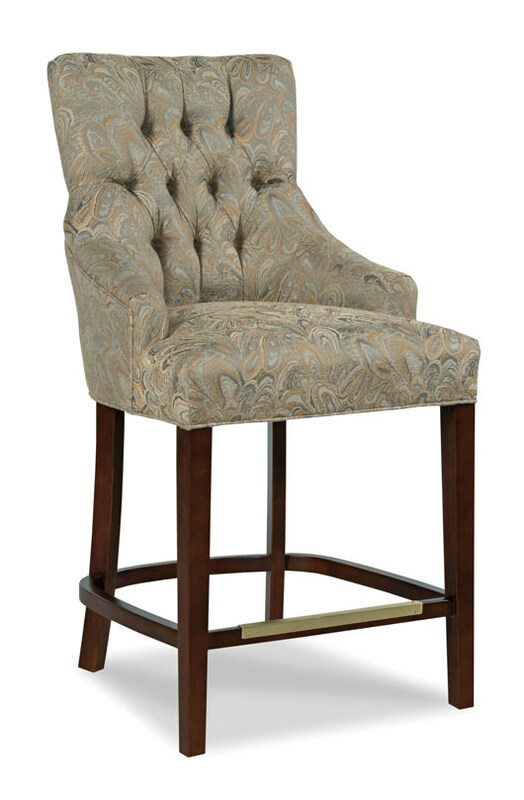 Only solid fabrics and leathers should be used on the inside back of this chair since the subtle curving shape will not allow for alignment of patterns. NOTE: Due to frame design, the inback on this occasional chair is available in solid fabrics/leathers only. 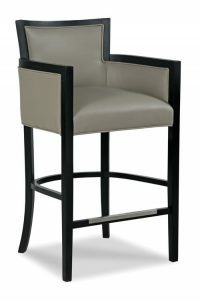 No patterns please, as patterns will not align on the inback of the frame per our upholstering standards. 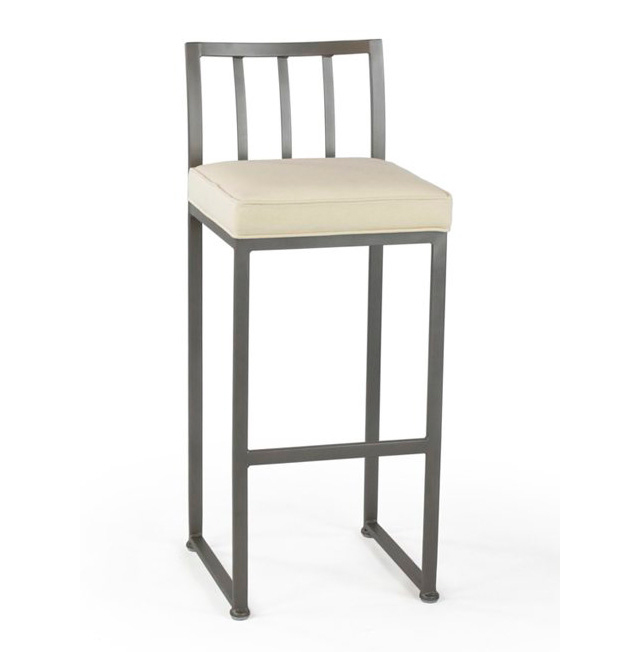 The Beacon Pub Table captures your imagination with architectural sleek lines of sturdy sheets of structural metal and wood. 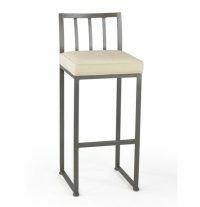 The veneered walnut base, available in various finishes, adds a handsome touch to the structural elegance of this monolith inspired design. 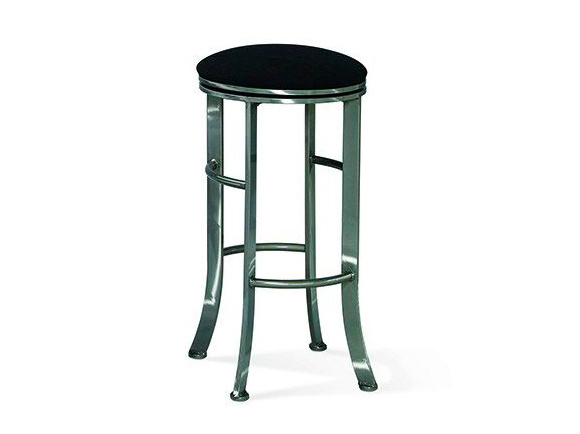 A glimmering stainless steel disc is permanently bonded to the 30 inch tempered glass top. Choose from various metal powder-coat finishes to capture your imagination. 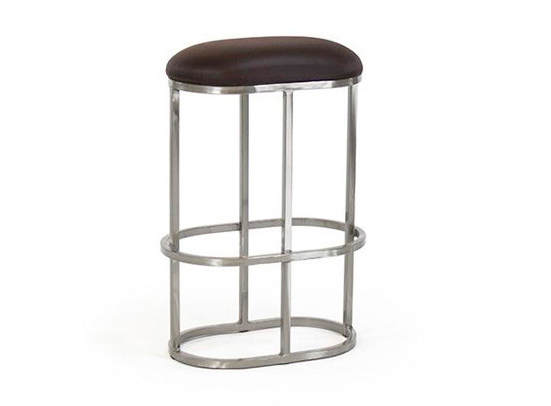 The Churchill Bar Cart is great-looking as well as practical. The Churchill’s carpet casters make it to move easily on any flooring material and can be put away quickly. When completely open, the Churchill bar cart transforms into a regular bar ready for entertainment, but can be stored away when the party is over. 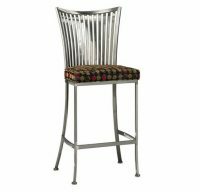 The metal frame and the intriguing diamond stitch pattern gives the Churchill a nostalgic look, which is the perfect place for an extra dry martini. 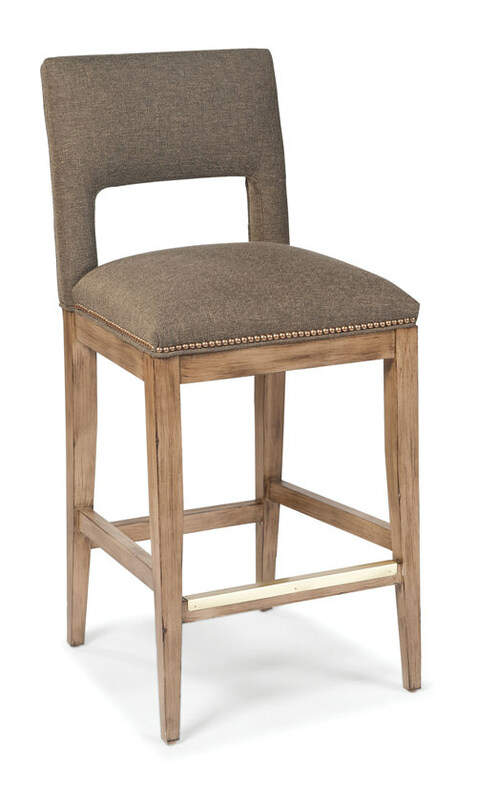 The interior of the Churchill offers generous space of storage for wine glasses and your favorite wines. 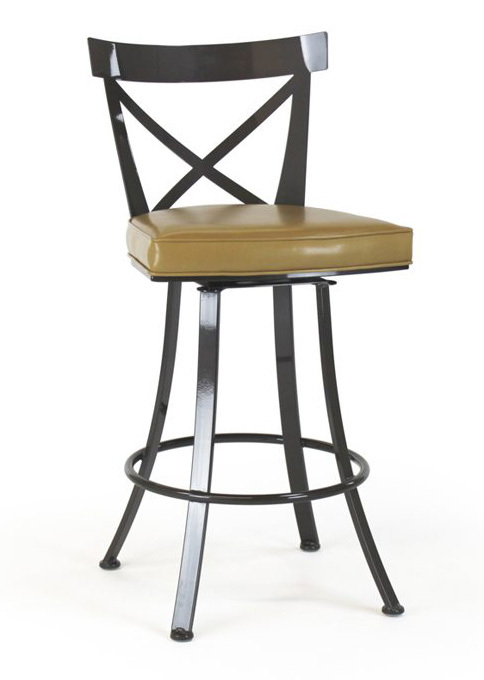 The metal frame is available in any Elite powder-coat finish. 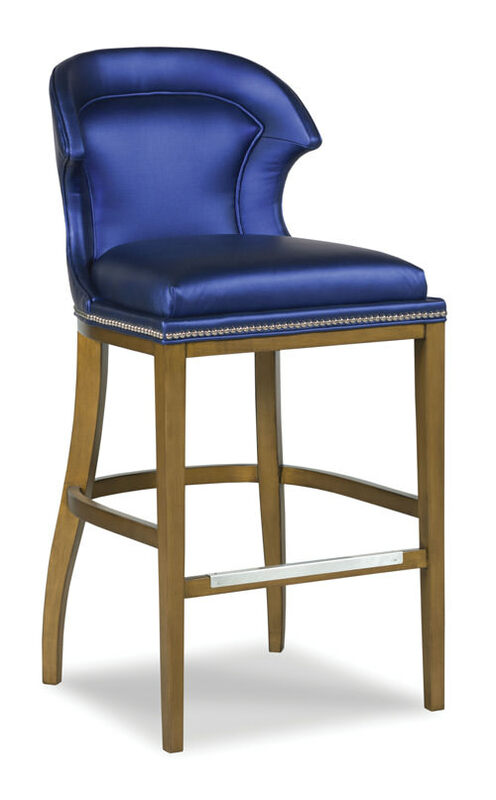 The Churchill bar cart is available in all our microfiber, leather and Ultrasuede®. 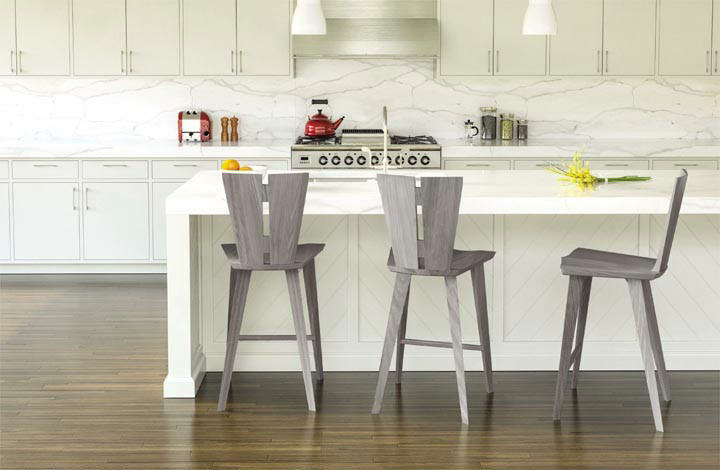 The Axis Dining collection is a study in geometric harmony and principle. The gentle curve visible along the table’s edge is created as a consequence of the broader curve cut into the table top. 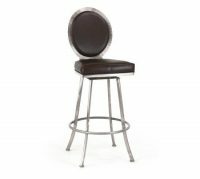 The unique shape of this barstool features a cutout back. 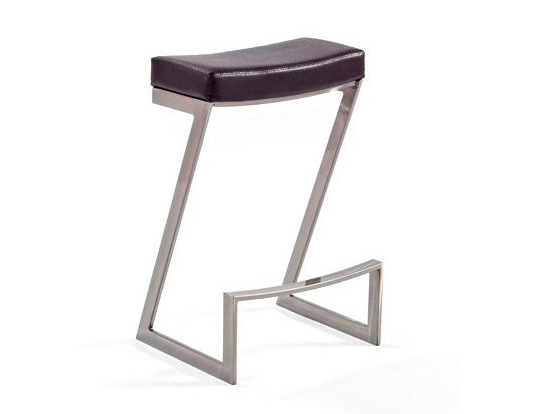 The tight upholstered seat rests on a wood trimmed base and tapered slim legs. All other Luca inserts are also available. 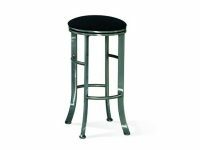 The stool is one of our “made for counters” stool designs as its height allows it to easily slide under kitchen counters when not in use. 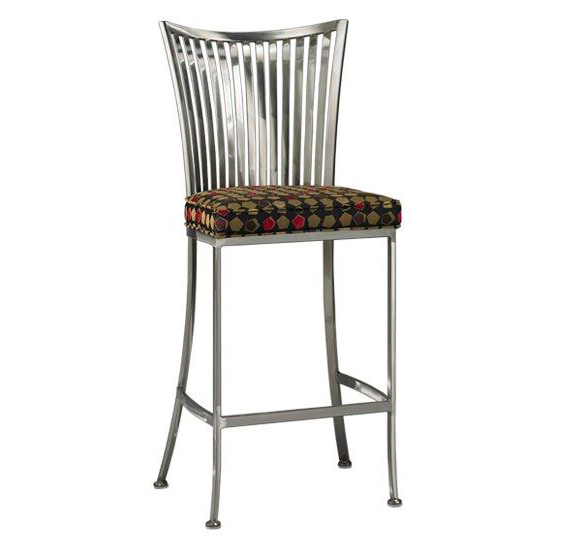 The dramatic back shaping of this bar stool is accented by a wide sculpted border. 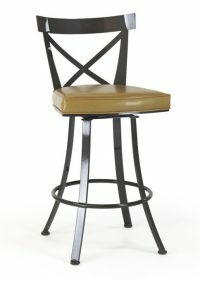 The back is concave in shape adding to the comfort. The wood legs are tall and slim with stretchers.